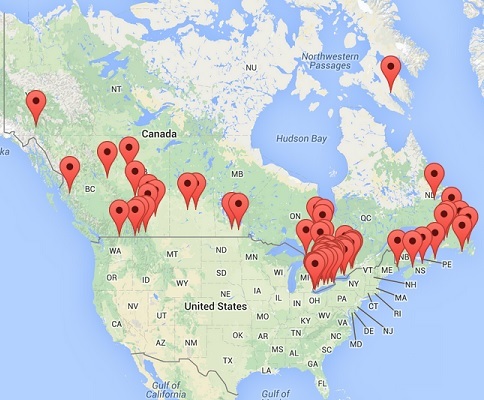 Office Pro dealers are members of a large Canadian buying group, bringing countrywide buying power to each Office Pro location. Office Pro members pass on the benefits of this buying power through everyday competitive prices, bringing value and providing uniquely local service to their communities. Since 1970, our dealers have been looking after the needs of our customers. We know how to provide the right products, at the right price, at the time they are needed. 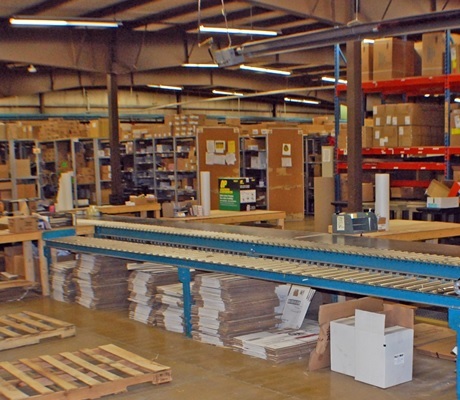 This 100% dealer-owned association of independent office products dealers has access to a growing selection of over 14,000 premium office products from more than 150 major manufacturers. 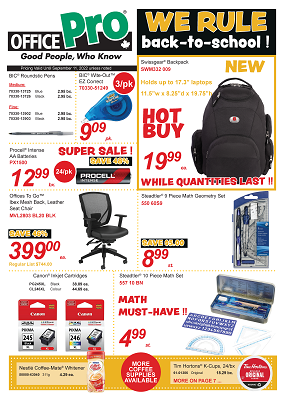 From the latest leading-edge technology to a full line of office furniture and everyday office supplies, Office Pro can satisfy the stationery and office needs of any Canadian home or business. The OP brand line of office essentials are quality office products that are price-friendly. From diaries to scissors, adhesives to calculators, file folders, labels and so much more. 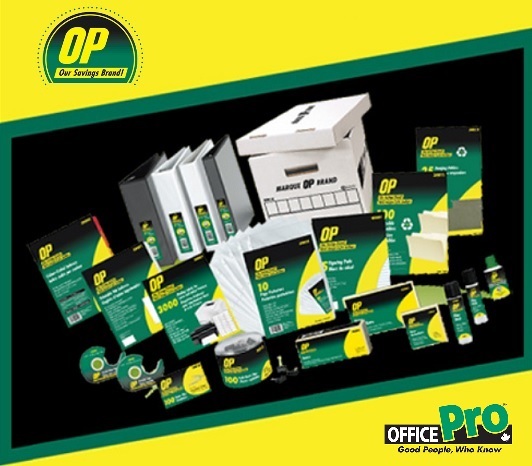 Stock up today with OP brand office products and keep your office running without breaking the budget ! 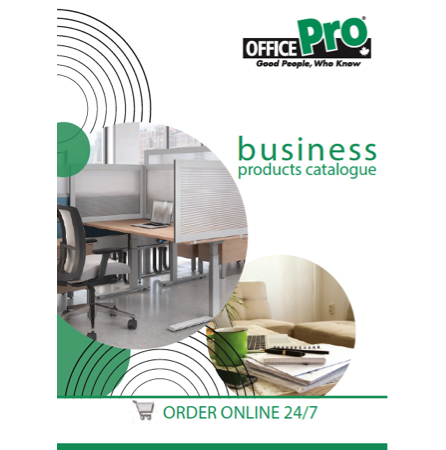 The Office Pro Office Products Catalogue provides detailed information about many of our available products. They can be obtained through your local Office Pro dealer. Also throughout the year, Office Pro offers special promotional pricing for a wide variety of products in our monthly and seasonal flyers. And for your basic office supply needs, check out our Office Pro Brand product line - value priced, national brand quality. Online prices and sales may differ from those in store and may vary by geographic region.